Rubbermaid's 10 Gallon Trash Can is Fire-Resistant and is approved as a self-extinguishing indoor container for dry flammable paper waste. 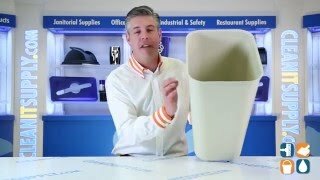 This fire-resistant wastebasket will not burn, melt or contribute fuel to container contents. 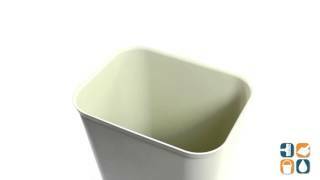 This Rubbermaid trash bin is perfect for industrial, hospital or institutional use and is UL Listed. Dimensions: 11"W x 15.25"L x 19.7"H.